ZDNet posted an article http://www.zdnet.com/article/agile-computing-in-search-of-the-next-level/ “Do we need “industrial-strength’ Agile computing. Basically, the idea is that it’s time to move beyond Agile, perhaps a synthesis of Agile, Lean IT, and DevOps. Yes, Agile needs to be replaced, but I question whether YAM, “Yet Another Methodology” is the right answer, or simply another long rut on the road. The irony is that software development is actually a highly social process, and a successful social process does not come about from formal methodologies but rather innate or trained social skills. Psychological skills like listening, non-violent communication, team building, etc. Yes, processes are needed, but typically only when members in the process are corrupting the process. And therein is my estimation of the problem — we, as humans, are usually not proficient at socialization. Or we come with our own agendas (and fears) that corrupt the process. Or frankly, both. The fourth kind is the worst, which any developer that prefaces his/her title with the word “senior” has experienced: a highly skilled anti-social engineer who manages (pun intended) to put forth their own agenda with varying affects, from disillusionment, “it’s just a paycheck”, to more devastating affects. The one and only test you need that you are working with the latter kind is when he/she says “don’t take it personally.” Because a successful social process works only when people are personally vested in their own goals and accomplishments and the goals and accomplishments of the other people on the project. What we need are less methodologies and more training in how to be functionally social with the effect being that even fewer methodologies are needed. Yes, we still need to be skillful at our technical work, but if we don’t figure out the social process, then everyone (the customer, the QA dept, the developer, the manager) will continue to create failed or mostly failed projects–either personal-subjective or product-objective or both. The only way out of this loop is to develop social skills — not the BS that management inflicts on you with week long “retreats” (if you are so lucky/unlucky) but real skills where we acknowledge each other as human beings with diverse and often divergent goals and at the same time agree to collaborate on something and have the skills to work out the differences in a way that doesn’t rip out the human in us but instead leaves us feeling validated, recognized, and with our honor and dignity, if not elevated, at least left intact. A computer able to read micro MMC cards. 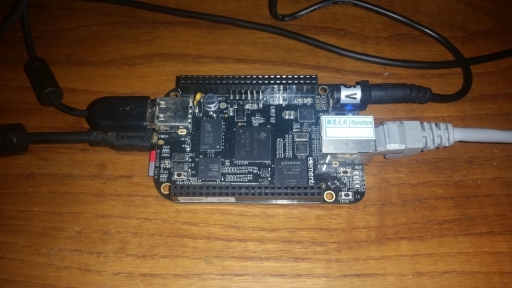 Most computers and laptops have this ability, you may need MMC to microSD adapter, or use an MMC USB reader like this one. Congratulations! You are remotely connected to the BBB! Click on the Login button (you will probably need to confirm the “Continue connection to an unknown server and add its host key to a cache” question again). 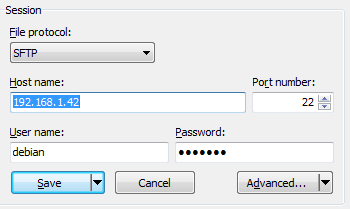 You should now be able to use WinSCP to transfer files between your Windows computer and the BBB! What do you want to do next?? ?